Charlie Carp > News > Which Type of Organic Fertiliser is Best for my Garden? There’s an abundance of options to choose from when deciding to use organic fertiliser on your garden. It’s easy to become confused or overwhelmed by them but fear not, we are here to help you understand the different types of organic fertiliser available and highlight the benefits of using natural products. Why Does my Garden Require Fertiliser? As your garden plants, flowers and vegetables grow, they go through a rigorous process that will deplete the soil of necessary nutrients. By adding fertiliser back into your garden, you are replenishing the soil to help your garden to continue to grow and prosper. 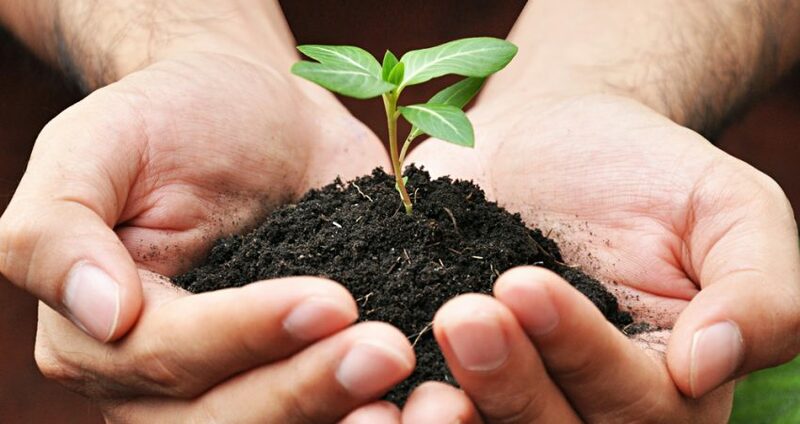 Organic fertilisers are generally made from plant or animal based by-products or powdered minerals. This type of fertiliser can come in the form of animal manure, fish or worm compounds as well as mushroom compost but to name a few. These fertilisers are minimally processed so the nutrients remain in their original form, whether compost, manure or liquid emulsion. Organic products, such as manure or compost, are cost-effective. If you make them yourself, it can be free. Manure offers both long and short-term benefits to a range of garden elements. Not only does it provide the necessary nutrients to the plants/lawn/flowers/vegetables, it also adds organic matter to soil and improves water retention. Not all animal manures are suitable for use as a fertiliser. Manure from domestic animals such as dogs or cats shouldn’t be used.. The most popular manures are organic fertilisers, which are derived from livestock animals including cattle, horses, sheep, chickens and even worms. Compost is undoubtedly the most commonly used organic fertiliser as it’s easy to make yourself and can be free, which is great if you have a large garden! By-products from fish provide excellent organic fertilising properties. Fish manure, meal and emulsion are all popular types of organic fertiliser as they are fast acting and provide the natural nutrients to your garden. Fish by-products are known to have high levels of nitrogen, which all gardens love. Using fish over other animal by-products also encourages a faster turnaround time. This is because fish enzymes break down much faster than other animals’. Mulch is another easy product to harvest from garden by-products. It’s made up from materials such as wood chips, straw, shredded leaves or grass clippings. These materials are then placed over the soil. Mulch will work hard to replenish soil nutrients such as nitrogen, prosperous and potassium. Although they aren’t derived from a living organism some still consider minerals as organic. This is because they are largely unprocessed and used in their original form. Mined rock mineral fertilisers include rock phosphate, greensand and sulphate of potash magnesia. When selecting to harvest your own fertiliser, organic fertilisers prove to be a cost-effective and sustainable source of nutrition for your growing garden. Here at Charlie Carp we are committed to natural, sustainable products. If you would like any further information on our range or organic fertilisers please contact us today.